This is the Tesker Ultra Ridged Loadcell constructed Model 740E. 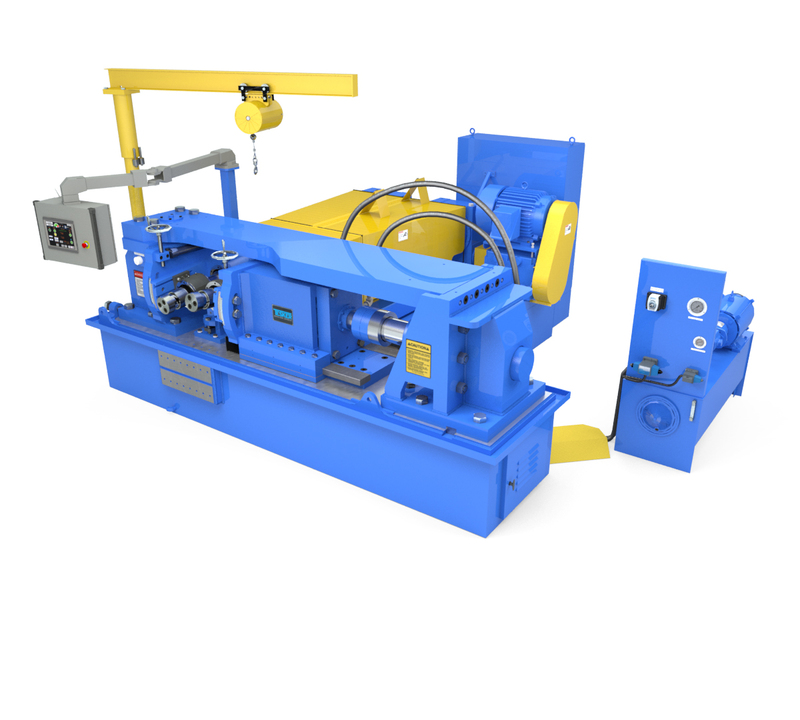 Built to do your heavy duty work, but yet uses more economically sized dies for cost savings. Rolling Pressure Adjustable to 340,000 lbs. Height including crane - 106"
All models wired to NFPA 79 standards for operation on 240 or 480, 3 phase, 60 hz. Other voltages available at additional cost.